Exercise and fitness were a central part of Jamie Osborne's life throughout his adult years, offering him a place of refuse, solace, camaraderie, and hard work. Jamie gave his all when running, skiing, cycling, rowing, or participating in various court sports. The workout and competition always brought him great joy and fulfillment...until June 2007. 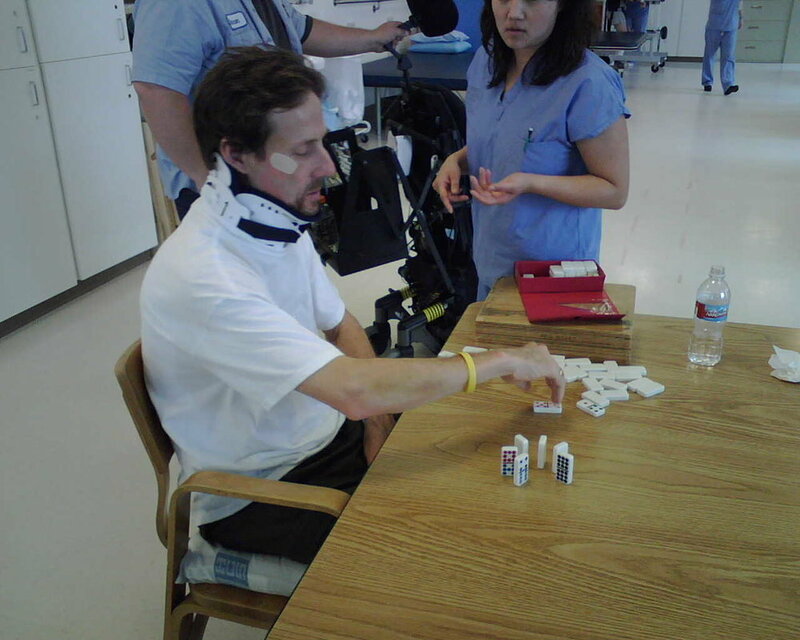 Catastrophically, Jamie was in a cycling accident and sustained a spinal cord injury that rendered him permanently disabled. As a result, his life was turned upside down. His professional career as an information technology leader was significantly altered, and his time as a recreational enthusiast was brought to an abrupt halt. He and his family have struggled mightily and Jamie has fought daily with the residual deficits of this "unimaginable injury." He has been relentless in his recovery, harnessing all of his faculties to battle this condition. Remarkably, he has regained many aspects of the functions he lost while coming to grips with this new normal. Today, he lives independently, with minimal assistance. Although his life was turned upside down, his will to recover has allowed his physicality to completely reset because he has devoted countless hours to rebuilding himself and conquering enormous obstacles with grit, determination, positive thinking, and resilience. Jamie has found life meaning again, and his healing message can help others. He has been invited to speak in person at several medical conferences and on the radio, sharing his unusual and rare story of recovery. Jamie writes in a conversational tone that is real, authentic, and deeply personal, and, in places, vulnerable. He is totally unfiltered and opens up about many things in his life that have been both tragic and triumphant. His first book, Will Your Way Back, chronicles his remarkable story that will inspire and give hope to anyone facing life's adversity. And he can now exercise again!